As Radford University and the Jefferson College of Health Sciences continue working on a merger, a bill awaiting approval in the General Assembly would keep the plans on track for its anticipated July completion date. Del. Nick Rush, R-Christiansburg, introduced the bill Tuesday. It would give the necessary state approval required to complete the integration of RU’s Waldron College of Health and Sciences with the Roanoke-based medical college. The bill would officially allow Radford University to open its Roanoke campus. The merger was announced at a press conference at Jefferson College last January and was lauded as a major positive for both schools by officials from both institutions — as well as for downtown Roanoke. 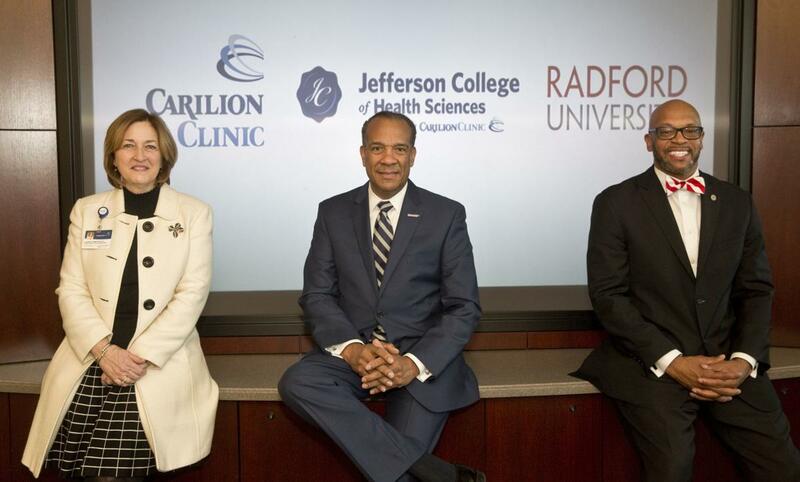 Carilion Health System owned Jefferson College but no money was exchanged in the deal and Carilion will continue to be a major partner after the process is complete. Schumaker said that RU has an economic impact of $1.1 billion annually, and that the $1.7 million will directly and indirectly add an additional $37.9 million to the economy each year. She said that those numbers are based on a 2016 economic impact study conducted by the university that states that every dollar of state support to RU represents a $22 return on investment statewide and $10 regionally. To read more about this merger, click the link below.